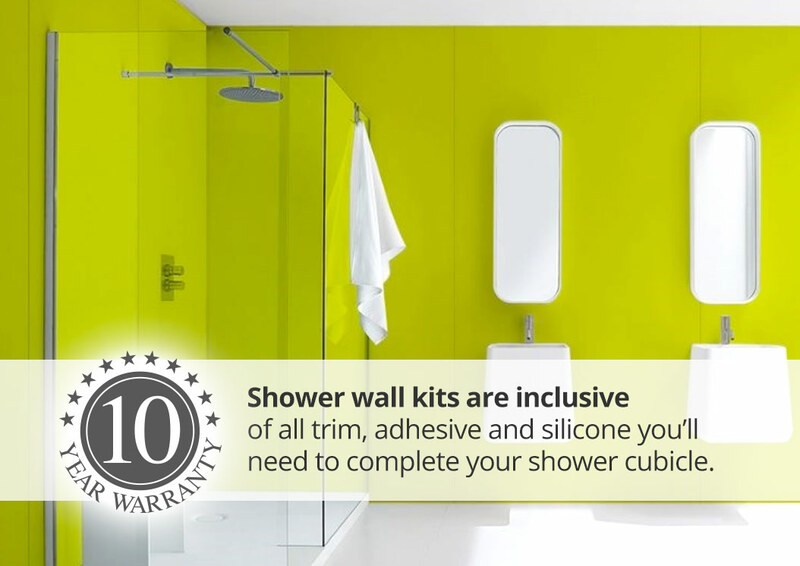 Proclad Shower Kits contain everything you need to finish a 2 or 3 wall shower cubicle up to 1200mm wide, including panels, trim, corners, adhesive and sealant. Proclad panels are exceptionally hardwearing because they have a solid core with the colour running right through the entire product. 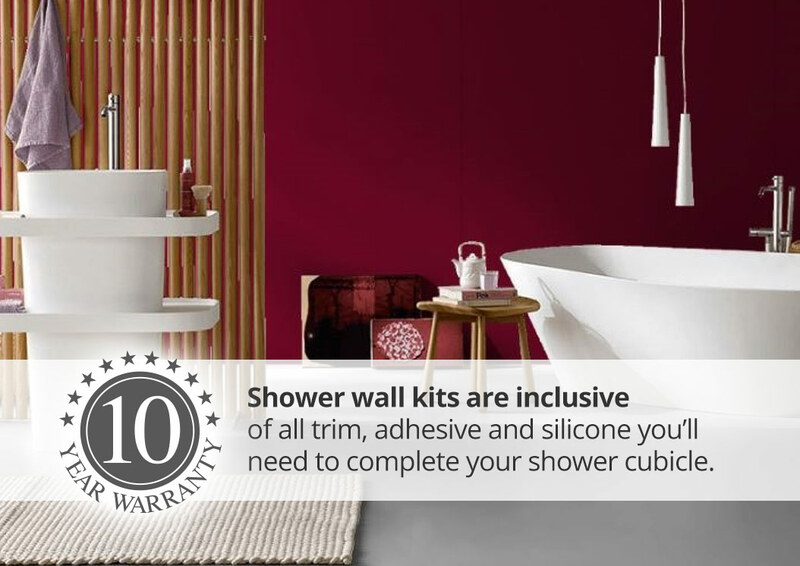 They are a long-lasting, low-maintenance alternative to wall tiles in showers and bathrooms with high wear. 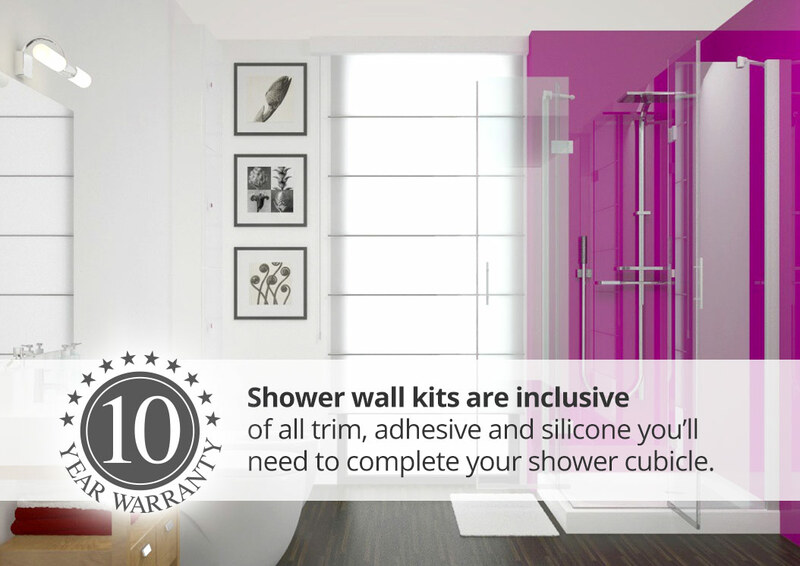 Available in a range of 22 high gloss colours, including black, white, pastels and brights, the panels in Proclad Shower Kits are large in size which gives you excellent coverage with fewer joins. Cleaning is very easy – simply wipe with a damp cloth. Unlike tiles there is no possibility of chips, cracks or dirty, mouldy grout. 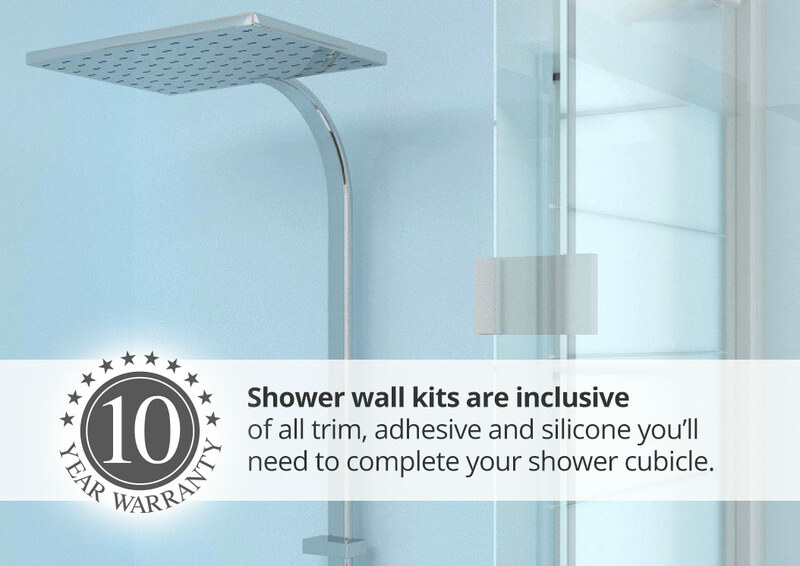 Proclad Shower Kits are easy to fit by 2 people with medium DIY or professional skills. They can be fitted straight onto bare walls or over tiles with no need for specialist treatment.